For over thirty years, homeowners seeking the best have come to Stephen Sullivan Inc. Stephen Sullivan, Inc. is a full-service general contracting company specializing in custom construction. 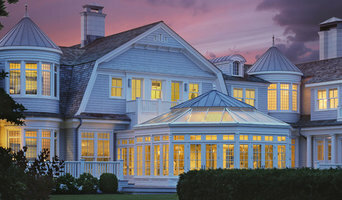 Based in Warwick, RI Design Build has established a solid reputation for providing high-quality design and home remodeling services along with dedicated and superior customer service to our clients. We are proud to be a family owned and operated company that specializes in the planning, design and construction of quality high-end custom homes along the Southern Coast of Rhode Island. Cyrus has been a professional carpenter for the past 25 years. He created Beasley Woodworks in 2008 and draws from a wide range of experiences to offer his customers professional expertise and attention to detail. Cyrus graduated from Emory University with a B.S. in Biology and worked in the pharmaceutical industry for a few years. He went on to build elite level racing hulls for Resolute Boats, Bristol, RI, for the sport of rowing. Cyrus' composite design Single from 2002, hangs in the Smithsonian Museum. From there, he moved on to build custom homes for Sweenor Builders and realized his true talent as a Custom Home Builder. 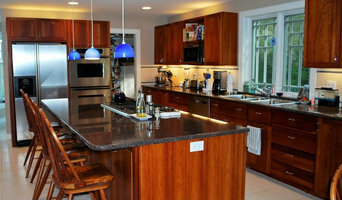 In 2008, Beasley Woodworks was created as a Custom Design-Build Firm. Cyrus has an engineering background, has been sailing all of his life and competed in the 1996 Olympics as a rower in the Men’s Single. He resides in Charlestown with his wife Julia, and three children.